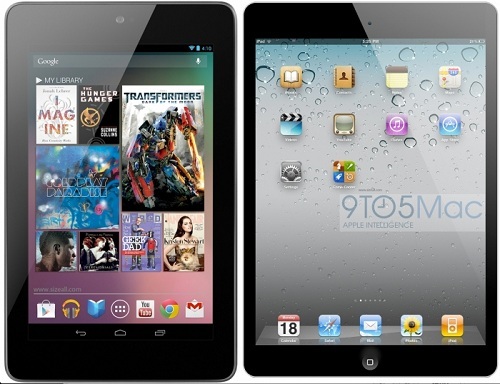 There has been loads of rumours as to when the much-rumoured ‘iPad Mini’ from Apple would launch if it ever exists. And in a report from AllThingsD, the blog seems to have ‘confirmed’ that the Cupertino based giant will hold a separate event in October to announce the launch of an iPad with screen smaller than 8 inches. An unknown source close to John Paczkowski of AllThingsD seems to have got information on this and says that the announcement will happen alongside the iPod launch event which has been happening for a decade now. Also unveiling the iPad Mini at the same event where Apple will be unveiling a revamped next-generation iPhone could act as an attention-diluting move. This is being said because both the products when launched will be the centre of attraction and the tech giant would not like the tech world to give importance to one of its device over the other. So all of us who have been waiting desperately for the launch of a smaller iPad, will have to wait a little longer but hey the iPhone is still expected to be on track for the September 12 announcement and release of 21 September in the US.